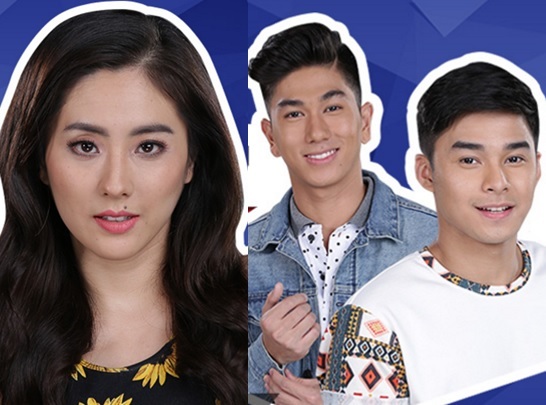 MANILA, Philippines - Hashtags members McCoy de Leon and Nikko Natividad joined Korean model Jinri Park in the grand finale of Pinoy Big Brother (PBB) Lucky Season 7, the hit reality show of ABS-CBN announced on Friday, August 5. The two-in-one housemates De Leon and Natividad got the final slot for this season's celebrity batch after garnering a whopping 46.95-percent of the public votes. Park earned her automatic spot in the 'Big Night' through winning a challenge. The housemates who garnered the highest scores from an earlier challenge - Hideo Muraoka and the tandem of Hashtags members and Park were tasked to hold a balloon over a pile of nails. The one who can hold their balloon the longest in midair wins. The radio host who received the most number of stars from the other remaining celebrity housemates got an early advantage as she began the challenge seven minutes after Muraoka and Natividad, who was standing for De Leon. Details about the 'Big Night' have yet to be announced. It remains unclear how exactly the reality show will determine its big winner.